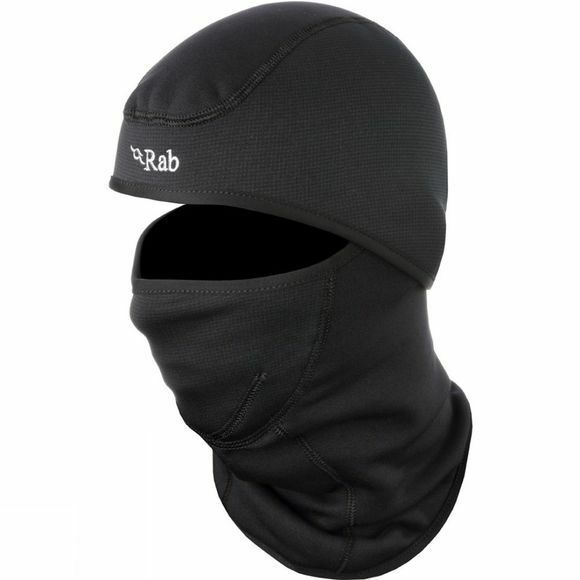 Providing all-over head and face insulation under a hood or helmet, the Shadow Balaclava uses Power Stretch fleece fabric to contour snugly around you. This eliminates cold spots, but has loads of stretch built in so it doesn't feel restrictive. Added protection from icy blasts comes from the Wind Pro inserts over the face and ears – a densely woven fabric which blocks far more wind than standard fleece, but still allows you to breathe comfortably. As if that wasn't enough, the Shadow features a flip-back head section for even more versatility.